The Council was a prime candidate for Difficult Second Album Syndrome as soon as it arrived. Its unexpectedly strong and innovative debut meant that subsequent episodes have a high bar to match, but I didn’t expect the second installment to cause the entire concept to unravel. Love The Council? Try one of these other brilliant adventure games. Please be aware that minor spoilers for The Council and descriptions of puzzles from episode two lie ahead. Hide and Seek, the second and shorter episode of The Council, begins by awkwardly combining the reveal of both your major decision from episode one, and bringing the mysterious Lord Mortimer out of the shadows. Neither feel like they’re addressed with any weight, with your actions in the previous episode practically brushed under the carpet, causing the opening to feel flimsy and inconsequential. While weak, the opening is the only segment of Hide and Seek that truly carries the pace and chatter of the first episode. From there on out, the emphasis is on ‘90s-style puzzle solving, largely split across two major conundrums. The first of these has you locked in a room attempting to continue the hunt for your missing mother. The trail arrives in unusual form; as notes hidden within the pages of a bible, their locations within the tome cryptically hidden in the painting hanging on the walls of the room. It’s a problem with a fairly logical solution, but one hidden among awkward layers of lore and mechanics. Walking back and forth between paintings and the bible, flicking through page after page in search of the right note, proves to be an exercise in tedium. 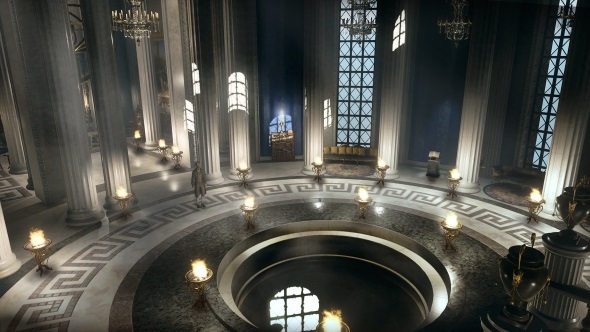 The second major puzzle, acting as the episode’s conclusion, sees you explore Lord Mortimer’s garden labyrinth, at the centre of which is a mausoleum-like structure. 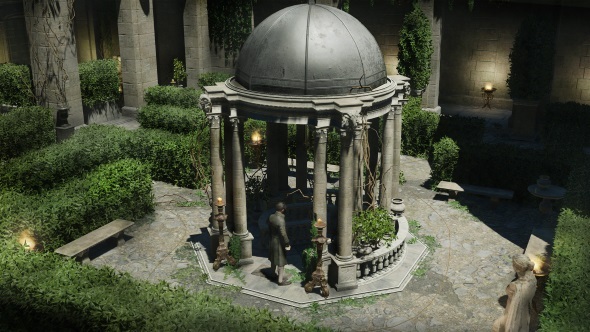 Unlocking the door to this structure requires you to slot a stone sword into the correct statue, of which there are many standing in various positions around the labyrinth. These statues are characters from the myth of Theseus and the Minotaur and by examining them you can learn more about them. Both of these puzzles have similar approaches: you can gain insight and clues by examining the puzzle components, but only if you have invested in the right skills and have effort points to spare. During the first episode, skills felt like a novel way to blend traditional adventure gaming with RPG mechanics, but in episode two the cracks in the system start to appear. You earn very few experience points over an episode and that means you have to be selective about where you invest your points. Complicating matters further, upgrading a skill costs substantially more points than unlocking one, meaning that to reach level two in, say, erudition, you have to invest most of the points earned in an episode into that single skill. The result is that creating a jack-of-all trades character means all of your skills are so low level that using them will require more effort points than you’re realistically ever likely to have. Alternatively, you can focus on a single skill, which ensures the best results from that particular talent, but denies you any other opportunities. It’s incredibly frustrating, and could potentially become even more so in subsequent episodes if challenges demand a higher skill level. Of course, just because your character in The Council doesn’t possess the required knowledge, it doesn’t mean the same for you as the player. If you have read the myth of the labyrinth then you’ll know that Ariadne helped guide Theseus with a ball of string. Ariadne’s statue stands at the entrance to the the game’s maze where a line of golden thread snakes through the hedges to a hidden finale. But sliding the sword into the statue at the thread’s end yields a negative result. Trying any of the statues the thread passes by is equally pointless. As the final puzzle in the episode, this acts as a condensed example of the overall disappointment Hide and Seek delivers. 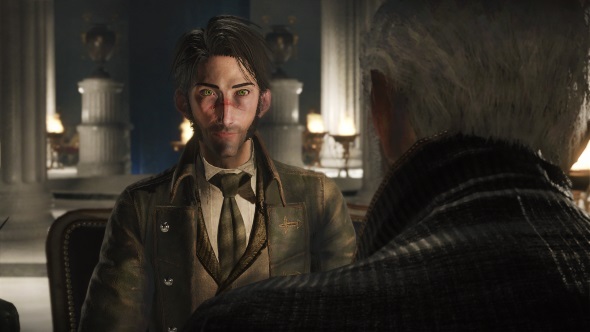 Due to the developer Big Bad Wolf’s decision to focus on a far more traditional, puzzle-driven outing for this chapter, the studio also pulls back from the fascinating characters and intricate dialogue that we loved so much in the previous chapter. There are no major decisions to make, little story progress, few consequences to face up to, and just a fraction of the social investigation that made the series’ debut so engaging. The overall direction of the episode highlights all of The Council’s weaknesses rather than showcasing its strengths. As a result, it has reversed my feelings on the benefit of including RPG mechanics, and left me wondering if it can deliver on its brilliance once again.